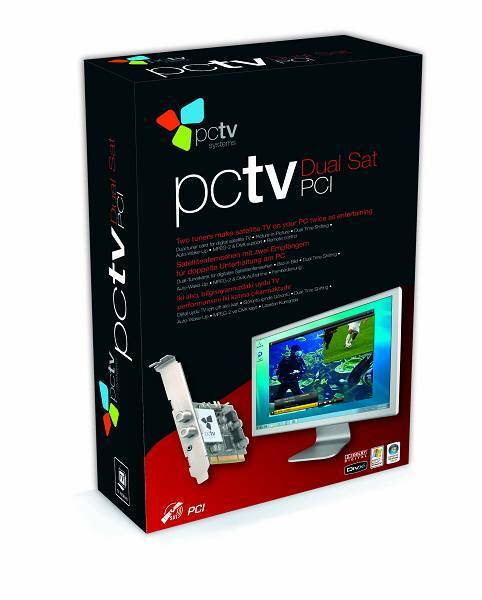 PCTV Dual Sat Pro turns your PC into a high-end PVR with two digital satellite tuners and remote control. 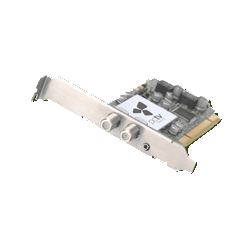 This all-new PCI board lets you watch, record and TimeShift two different free-to-air DVB-S programmes at the same time. The integrated AutoPowerON/OFF technology automatically starts the PC and shuts it down for scheduled recordings. The TVCenter 6 software offers a wide range of PVR features, accessible with remote control or keyboard and mouse. TV shows can be recorded directly in PlayStation™ Portable (PSP) or iPod™ compatible format. 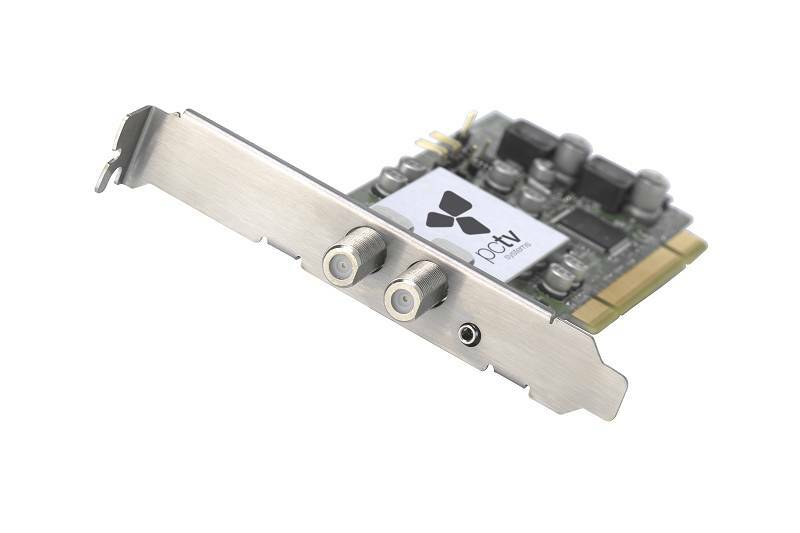 PCTV Dual Sat Pro features two high-quality digital satellite tuners on one PCI board. Used in combination with the included, all-new TVCenter Pro software, it delivers a more versatile satellite TV and PVR experience. You can enjoy Picture-In-Picture (PiP) viewing on your PC. You can also watch, record and TimeShift two TV programs at the same time. Gain full control over two TV programmes with the unique DualTimeShifting™ feature. Record directly in PlayStation™ Portable (PSP) or iPod™ Video compatible MPEG-4 format to take your favourite TV shows with you. N’hésitez pas à demander des précisions auprès de votre revendeur au sujet de la couverture DVB-T (TNT) dans votre région. La réception DVB-T varie en fonction de l'endroit où vous êtes, elle peut être compromise par d'épais murs ou structure en acier. Dans de tels environnements, une antenne de toit est nécessaire.La réception mobile de la TNT, par exemple, en voiture ou en train, n'est en général pas possible.